Fresh peppercorns add a delicious and noteworthy touch to many dishes. Some of my favorite dishes that include peppercorns are pepper-crusted steak and peppered spread for crostini. 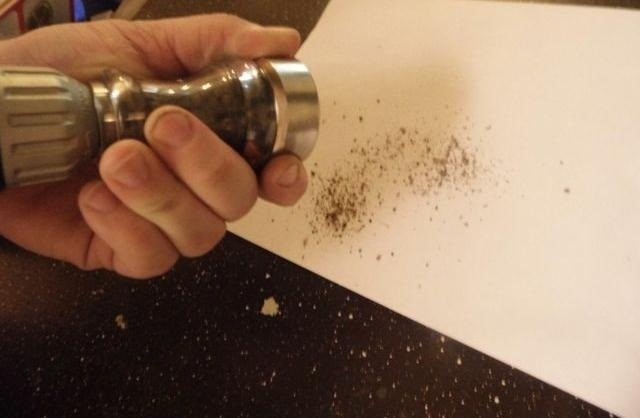 The unfortunate thing about those dishes is that they require a lot of fresh ground pepper—and hands can tire quickly when using a small pepper grinder. If you're preparing food for many people, then it's even worse, as the amount of pepper needed is greater. I have an incredibly easy fix though, for nights when dinner requires too much fresh ground pepper for your poor hands to handle. Here's how you can make your very own automated pepper grinder. 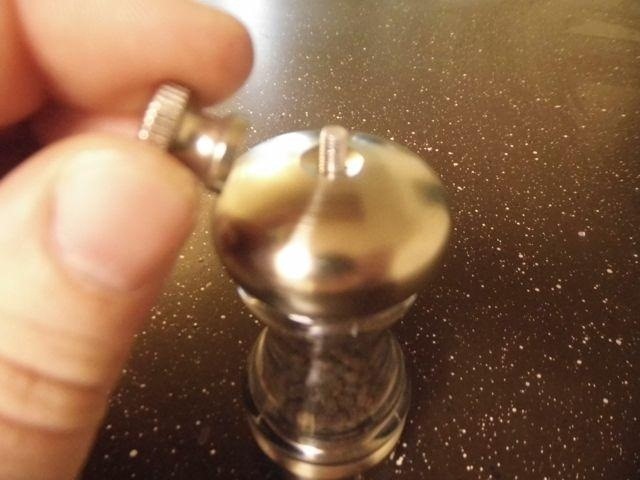 Unscrew the top screw on top of your pepper grinder. Remove it and set aside. 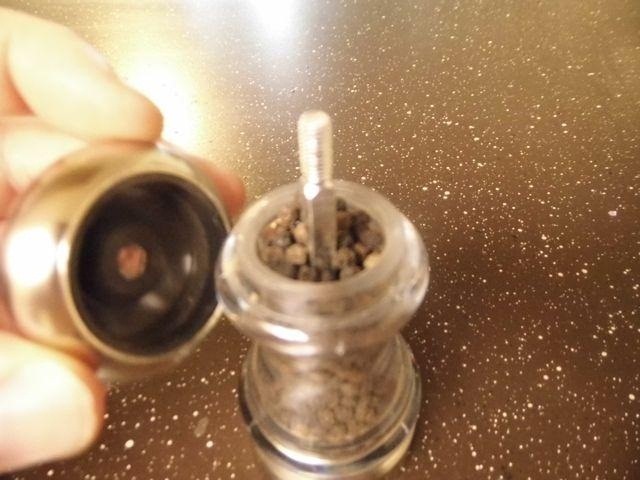 Pull the top cap off the pepper grinder. It should come right off with little resistance. A rod will be sticking up from the center of the peppercorns. Turn the drill chuck (the front part of the drill that holds bits) to fit the size of the rod sticking up out of the peppercorns. Insert the rod into the drill as if it were a drill bit, being careful to not spill any peppercorns. Tighten the chuck around the rod so that the grinder stays in place. 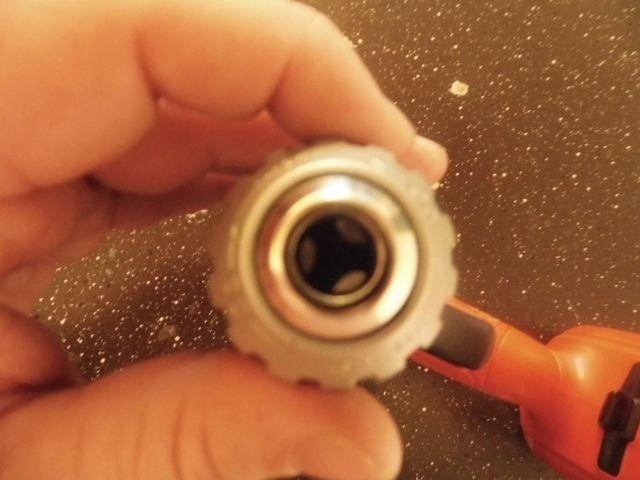 Make sure your drills torque is set to its lowest setting. On most drills, the place to adjust this is right behind the tip of the drill. Hold the grinder to keep it steady and make sure to keep the bottom of the grinder from moving, then press the trigger on your drill. Behold! You can now grind copious amounts of pepper without tiring your hand. 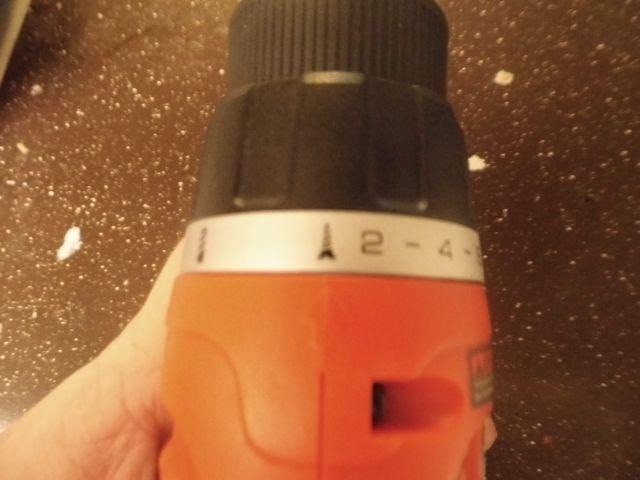 What do you think of the electric pepper grinder? How would you make an automatic pepper grinder? 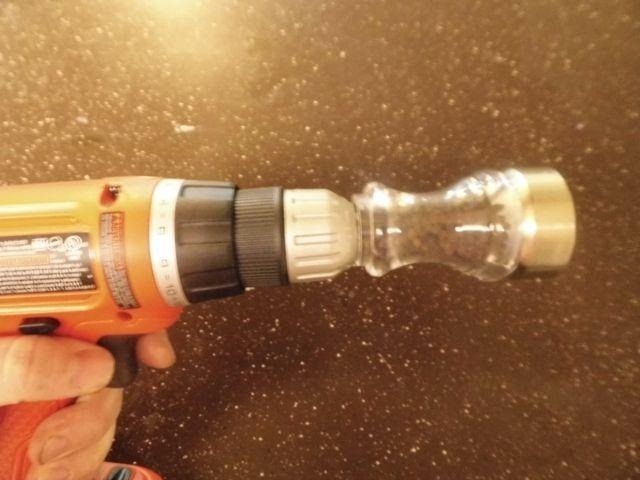 What would you use besides a drill? Sound off in the comments section below.